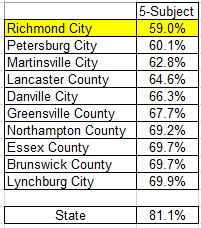 At the Sept. 21 meeting of the accountability committee (a committee of the whole) of the Board of “Education,” Dan Gecker remarked that MOUs (“Memoranda of Understanding,” bureaucratese for unenforceable agreements) don’t do anything: We’ve had thirteen MOUs at Petersburg. A search of the Board’s agenda [Don’t rag on me about number; “agendum” is the singular] suggests that “thirteen” MOUs is an exaggeration. 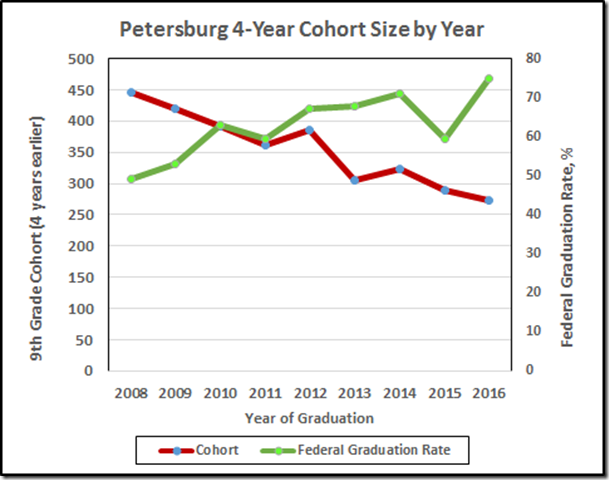 But Gecker’s point is well taken: Petersburg has been operating under MOUs with the Board since at least 2004. 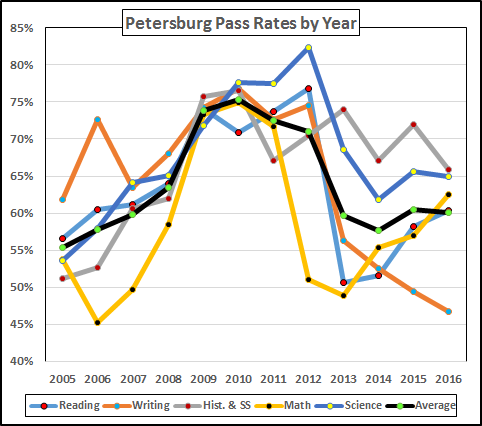 Petersburg’s pass rate history shows a flirtation with accreditation that ended precipitously with the new tests in 2012 and 2013. The efforts of the Board of “Education” have produced mountains of paper while leaving Petersburg’s (and Richmond’s and too many other divisions’) schools free to damage the children they are paid to educate. 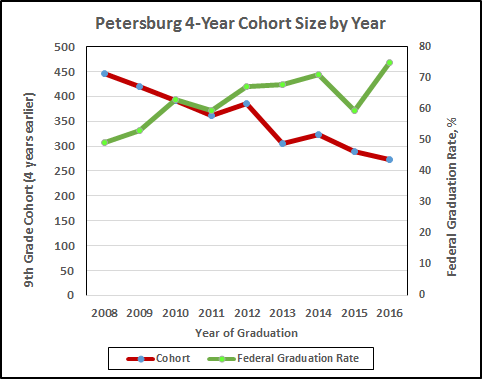 In light of the appalling SOL pass rates, the increasing graduation rates suggest that P’Burg is giving diplomas to kids who haven’t earned them.